Add the garlic, soy sauce, honey, orange zest, orange juice and crushed red pepper flakes to a small bowl and whisk until combined. Add the shrimp to the cornstarch and coat well. Heat your oil in a large frying pan over medium high heat. In batches, cook the shrimp for 2-3 minutes on each side until brown and crisp. Drain onto a plate (don't use paper towels or it'll steam on the paper towels). When you've finished frying the shrimp drain the oil. Add the sauce back to the pan and add the shrimp on top. Toss to combine and cook for 15-20 seconds or until the sauce has thickened (this will not take long, all the cornstarch on the shrimp will thicken it quickly). 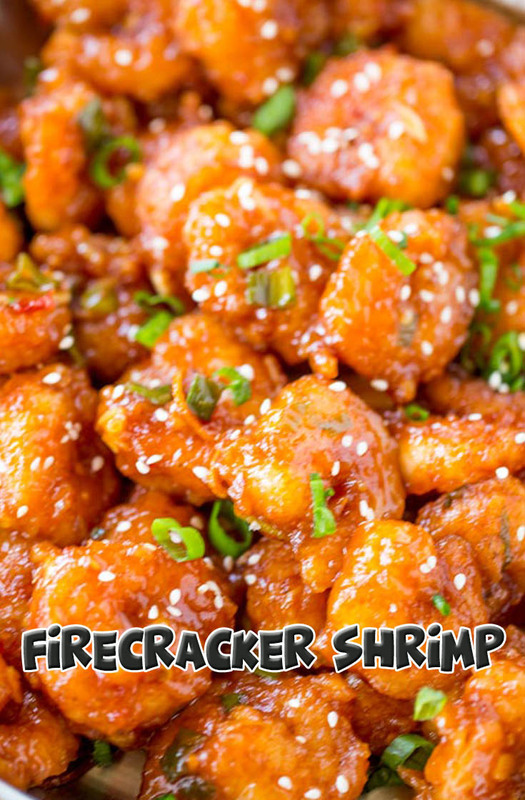 Serve immediately, garnish with green onions and sesame seeds.